Senter 22mm Soft Silicone Sport Replacement Quick Band for Garmin Forerunner 935 Smart Watch by Senter at Kode Fu Guru. MPN: Senter. Hurry! Limited time offer. Offer valid only while supplies last. Package Included: 1 * watch band ONLY,Do Not include any watch,6 year hassle free exchange without return. 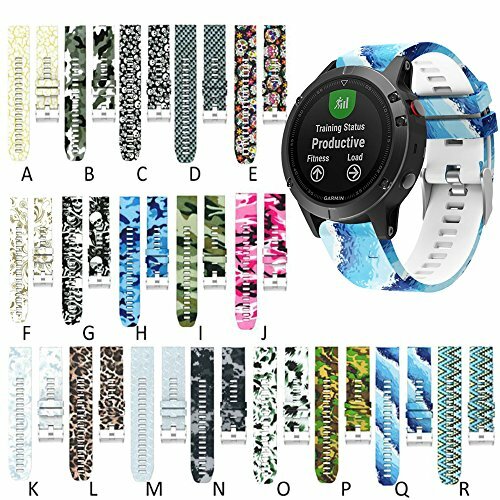 More Colors,more style to match your watch,please search "senter Garmin fenix 5 band"
If you have any questions about this product by Senter, contact us by completing and submitting the form below. If you are looking for a specif part number, please include it with your message.